Aparna Thorat, DMD, is a highly trained dentist at PDADental in the Financial District, Lower Manhattan, New York. 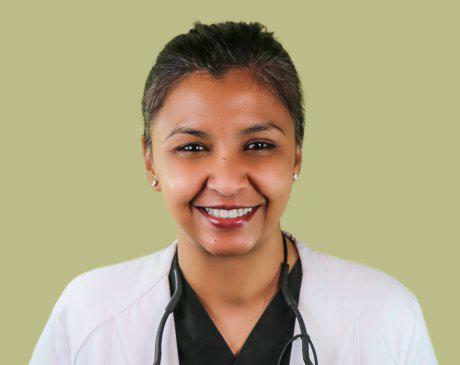 For Dr. Thorat, the key tenet of practicing dentistry is developing a strong, trusting relationship with her patients. Using this patient-driven philosophy, she encourages her patients to get involved in the treatment planning process. Dr. Thorat specializes in general and cosmetic dentistry. She is a firm believer in lifelong learning and takes continuing education courses and training to stay current with the latest dental innovations and treatments that she can bring back to PDADental to better serve her patients. Dr. Thorat is a graduate of the Boston University Henry M. Goldman School of Dental Medicine. She is an active member of the South Shore District Dental Society and the American Dental Association. When she isn’t helping her patients get the smile they’ve always dreamed about, she can be found painting, traveling the world, and enjoying spending time with her husband and son.